We love creating apps for kids. It keeps us grounded and brings joy in our life. We do lot of ideation, brainstorming and prototyping. 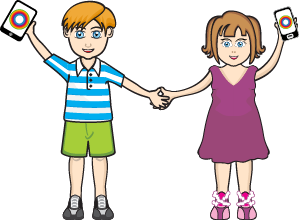 To design the app experience which will bring smile to kids face requires lot of hit and trial method. Sometime we get it right and sometimes we just get honest reviews on App Store. We continue on march on. We constantly try to improve, learn and continue to create apps which bring joy in your kids’ life. We cannot do all by ourselves. We want you to be part of this journey. If you are a parent, teacher, involved in day care management, children book publishing or just somebody who loves creativity of building products for children market. We would love to work with you as we value your input. We get lot of feedback on App Store and also on our support email. Our aim is to go beyond that and build a dynamic environment around app designers and users who have strong opinions on how apps should be done for preschool children. Please join us in our App Jedi program. Future of learning is going to be heavily influenced by smartphones and tablet devices. Why not jump in, innovate and invent future.